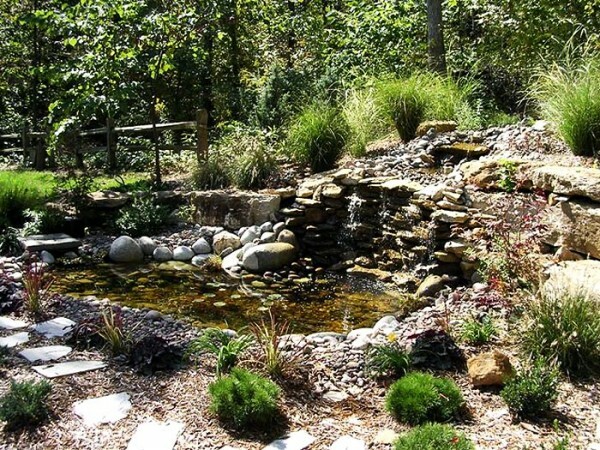 We design, construct & maintain all types of water gardens and ponds. 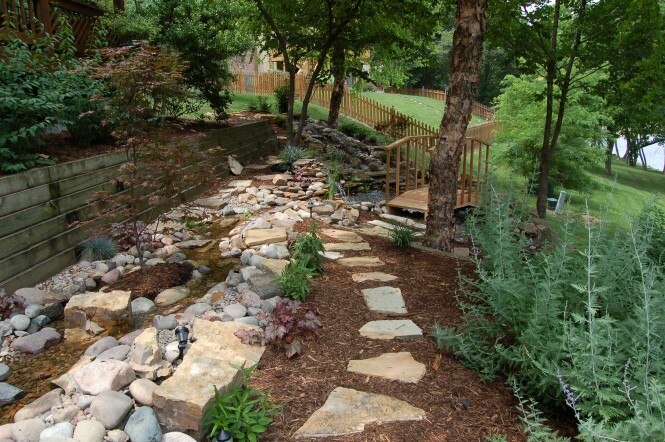 A water garden adds movement and sound to your back yard or landscape. 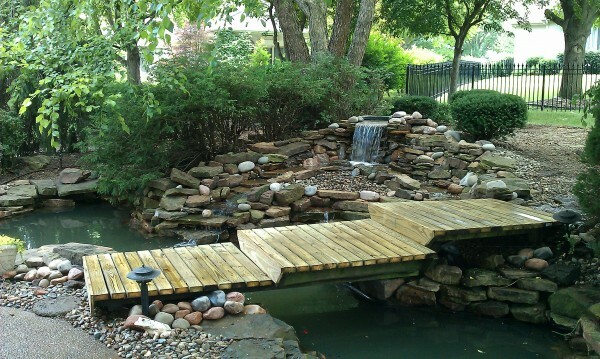 It can add the peaceful sound of running water or the more aggressive sound of a large waterfall. 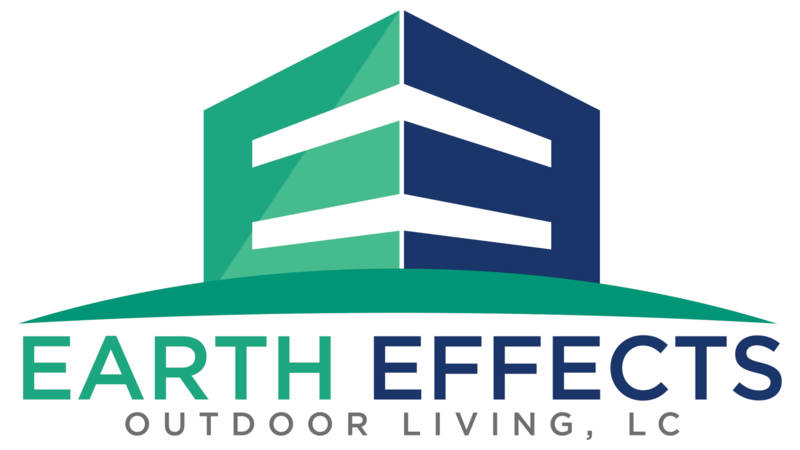 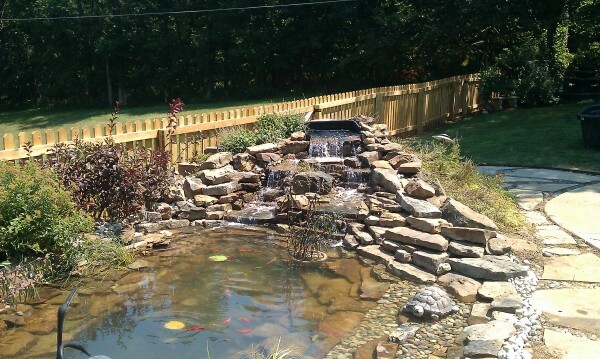 Contact us today and we can show you what we can do for your landscape. 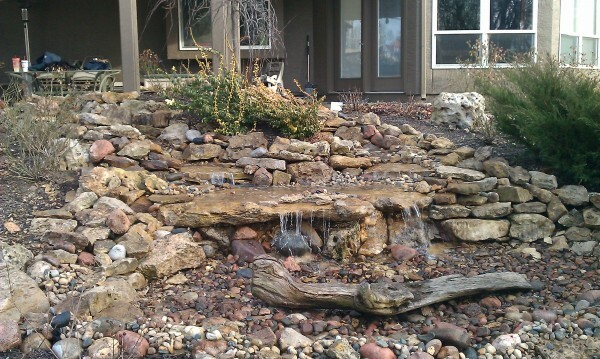 A popular product is the pondless waterfall and bubbling rock. 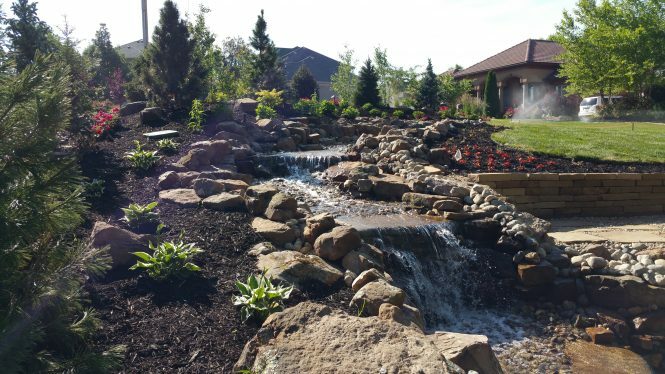 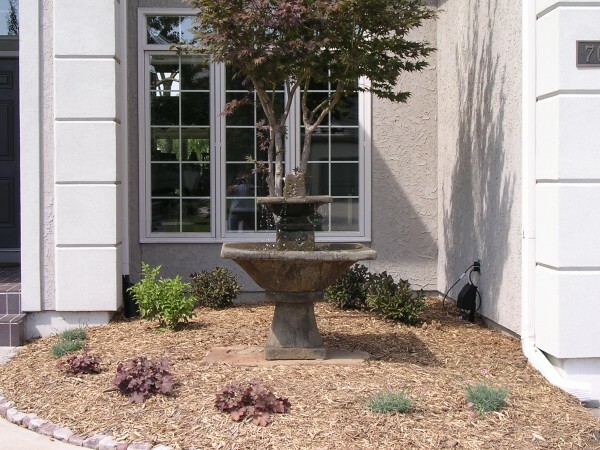 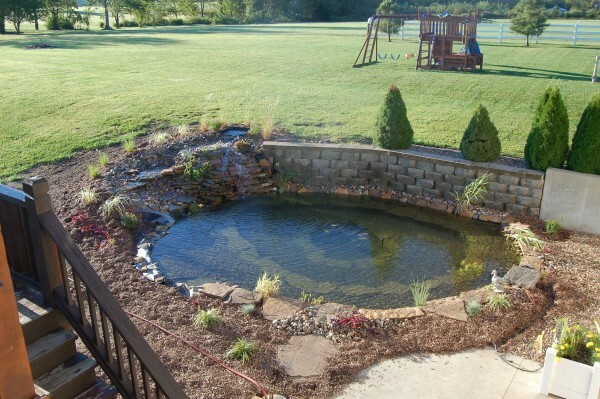 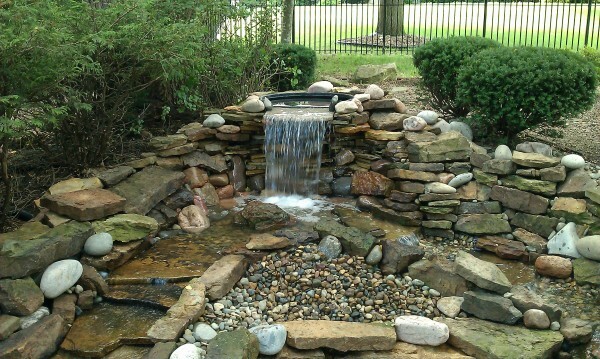 A pondless waterfall gives you the look and sound of running water without requiring a pond. 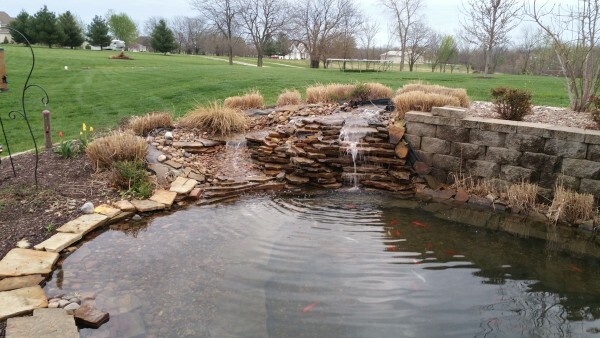 It spills into a bed of rock.The bubbling rock is a stone (many styles and sizes to choose from) with a hole in the center that recirculates water to a hidden chamber.